It is with heavy hearts that we share news of the passing of George Waldo. George passed peacefully today, July 20, 2018, surrounded by those who love him. George Waldo was a resident of Peachland for 34 years. He served 3 years as Councillor (1976-1979) and then served as Mayor of Peachland for 19 years (1980-1994 and 1997-2002). 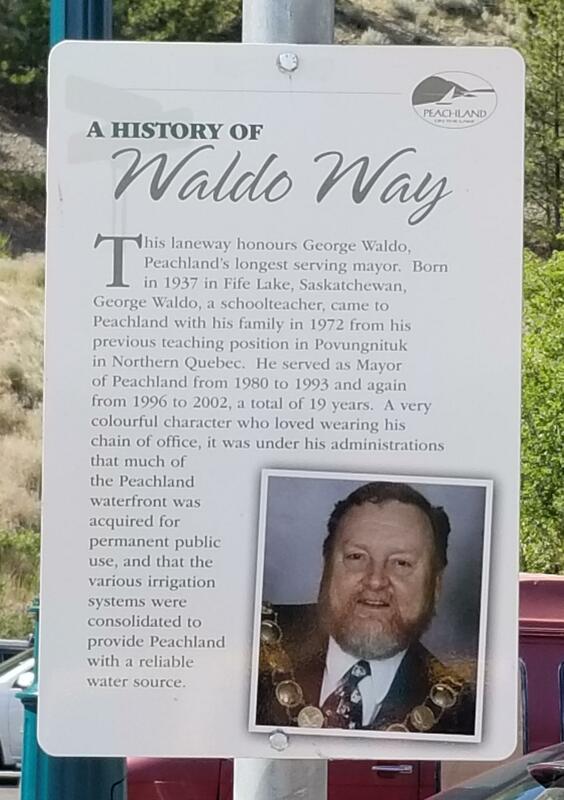 George was very proud to be the Mayor of Peachland, and was rarely seen without his Chain of Office at public appearances. George played an integral role in the establishment of the Peachland Wellness Centre, as well as the building purchase. He was also Mayor when the first phase of the sanitary sewer project was completed. In honour of George�s time and dedication to Peachland, we will be flying the flag at half-mast. We send our sincerest condolences to his friends and family.